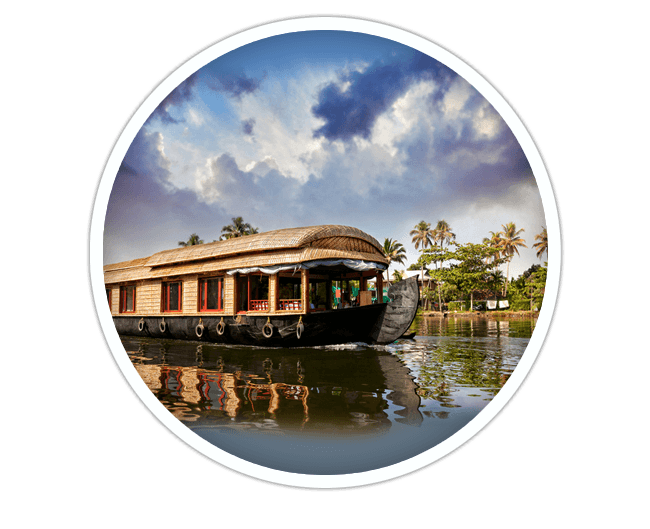 We have three Kerala Houseboat packages, the duration of which ranges from one day to five days. You can choose the best one that suits your budget and requirement. Whatever be the package you choose, we will arrange for breakfast, lunch and dinner. You can forget about such essentialities in life and simply forget about time. Don’t miss the candle light dinner right in the middle the lake. Stars on the sky will be your only other source of light. This is a favourite among honeymooners and those with a romantic bend of mind. 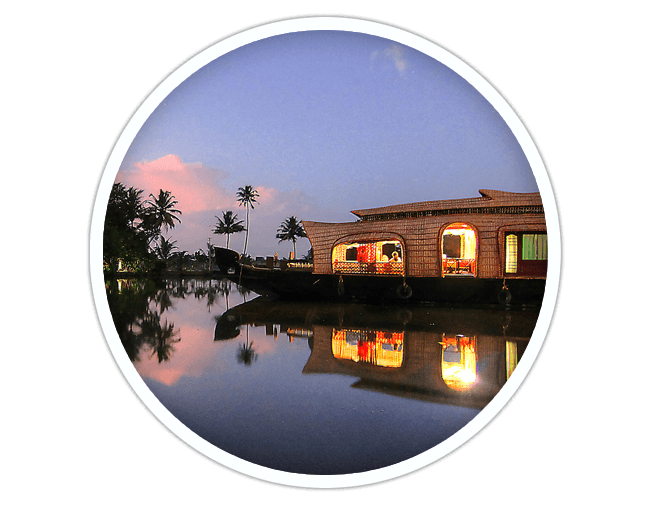 Part of all the kerala houseboat packages are fishing expeditions, canoeing and village walks. We can arrange for ayruvedic massages and yoga classes upon request. 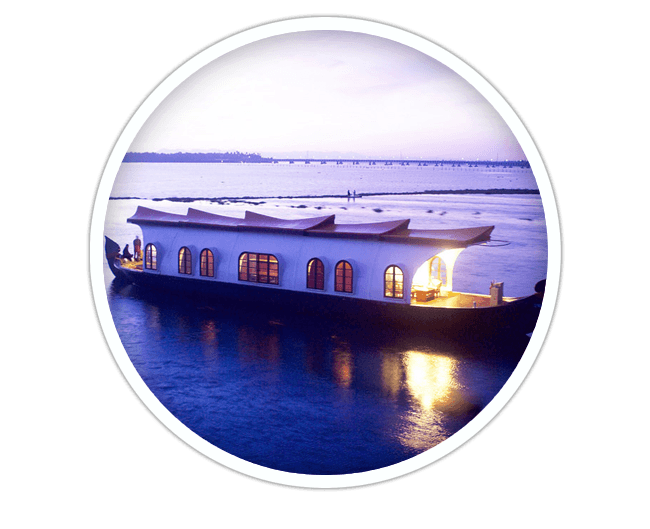 This is the best option for cruising through the heavenly backwaters of Alleppey. It will help you figure out why the place is called the Venice of the East. The ride will take you to every nook and cranny of Alapuzha where a house boat can reach: Punnamada, Vembanadu Lake, Marthandom, C Block, Kuppapuram, to name but a few. This is best for those who have ample time to spare. You can bathe in the breathtaking beauty of the Kerala backwaters. The trip is long enough for you to catch glimpses of village life, learn about local culture and taste some local delicacies. In case you don’t know, the places – like Champakulam, Thayamkari Thodu, Karuvatta – are the places where you will get the best fish curries and fries in Kerala. 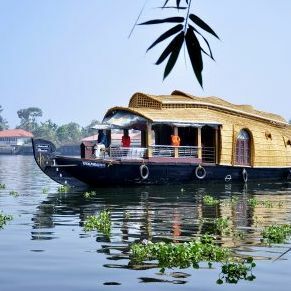 Kerala houseboat package in Alleppey is the longest among the packages, as it will take you beyond Alappuzha. There are many less explored islands near Kumarakom and Kollam. This is for those who want a life-time’s memorable experience of spending some days in the quaint charm of Kerala backwaters. You will travel through some of historic and stunningly lush green places.